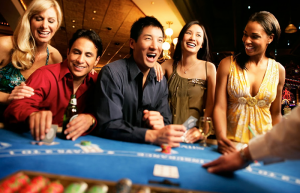 It is not a secret that the majority of people that come to casinos lose money. However, it doesn’t mean that you should become one of them. or that it is not possible to win more than you lose. It also doesn’t mean that you should have negative feelings about casinos, because you can have fun and win at the same time. One of the best winning strategies is to become a specialist at a certain game. Too many people bounce from one game to another game, and casino to casino. This is fine if what you are looking for is entertainment. If you are looking to win, focus on several games, one, two, three at most, and become an expert in the field. Knowledge is power. This saying applies everywhere, including online casinos and offline casinos. One of the best winning strategies in investing is to only invest in companies you understand really well. The same advice applies to gambling. If you are looking to win, gain an understanding of the games first, and then only play the games that you understand really well. It is easy to keep track of your winnings and losses. There is nothing subjective about numbers, sums of money and bank accounts. The problem is that many people get very excited when they enter a live casino, and forget to keep records and keep track of their games. Most players tend to remember their big wins, even if the wins are really rare, and forget their losses, even though a series of small losses can add up to much more than one big win. If you want to win, you want to be aware of what is going on, and the best way to do so is to keep detailed records that will allow you to have an accurate perspective about your gambling activities.